Not everyone likes the word 'bisexual' to cover people who are attracted to more than one gender. It has the word 'sexual' within it, for example, and not every bisexual person wants to be sexual with anyone, never mind with more than one gender. And all of that's fine! 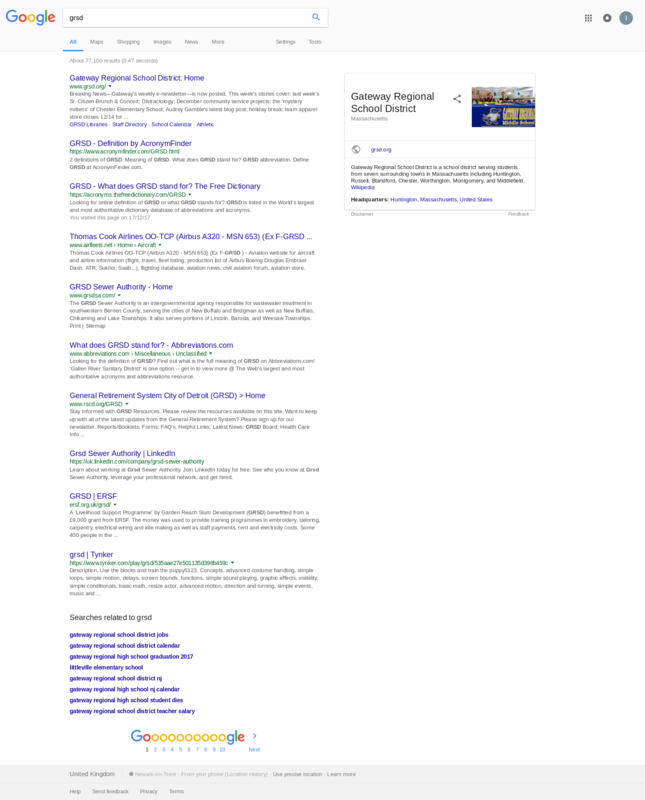 Having said that – top tip: if you are going to use an acronym that's an alternative to 'LGBT' on your publicity without ever expanding it, try not to use one where the top hits on Google for it are..
.. some Tynker.com URL that happens to have a directory called GRSD. 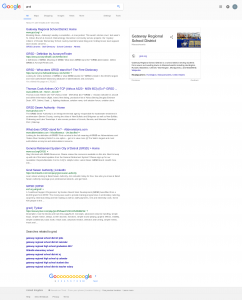 (That's after Google suggests you probably mean 'grad lgbt'..
'About 9,380 results' once you've said you really only want 'grsd lgbt',* the second of which is someone complaining that it's too close to GRID ('gay-related immune deficiency', one of the first names for what was soon renamed Aids). 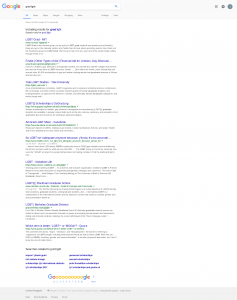 Two of the others are search keyword spamming, 'get your Grsd here!' things. Still, the third one is Bi Pride UK! Or their application to the Aviva Community Fund, anyway. Moral: if you're using an unfamiliar acronym, expand it at least once when you use it. 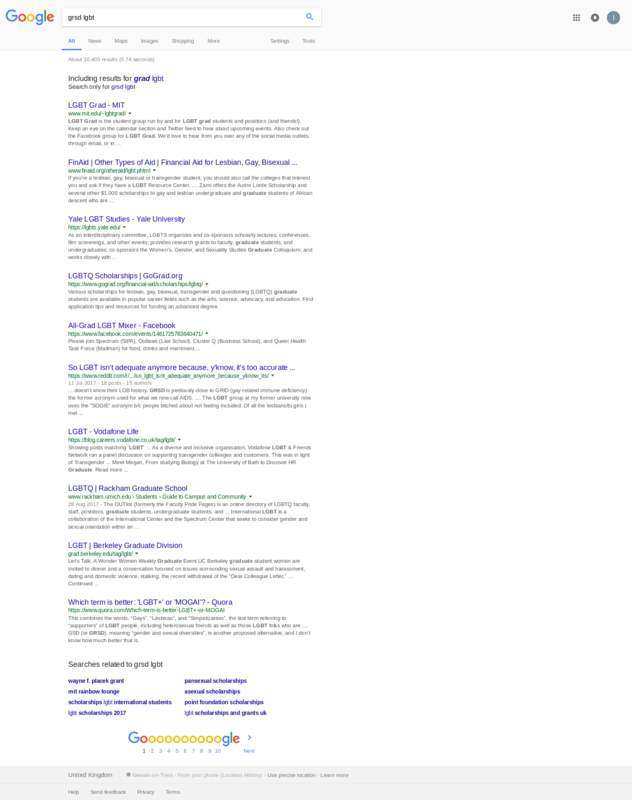 I wonder where this page will end up on the list of results? * By comparison, 'lgbt' alone has about 38,100,000 hits, so about five hundred times those for all the meanings of 'grsd'.